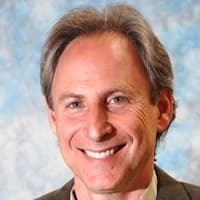 Dr. Marc Halpern is the founder and President of the California College of Ayurveda, the oldest school of Ayurvedic Medicine in the United States and a leader in the development of Ayurvedic Medicine in the West. He is the co-founder of the National Ayurvedic Medical Association, the National Council on Ayurvedic Education and the California Association of Ayurvedic Medicine. He has written three textbooks on the principles and clinical practices of Ayurvedic Medicine, used at colleges across the United States, and the popular book, Healing Your Life; Lessons on the Path of Ayurveda. He is also the author of the best-selling Meditation CD; Yoga Nidra and Self-Healing. Dr. Halpern has received awards for his service to the Ayurvedic profession in both India and the United States.